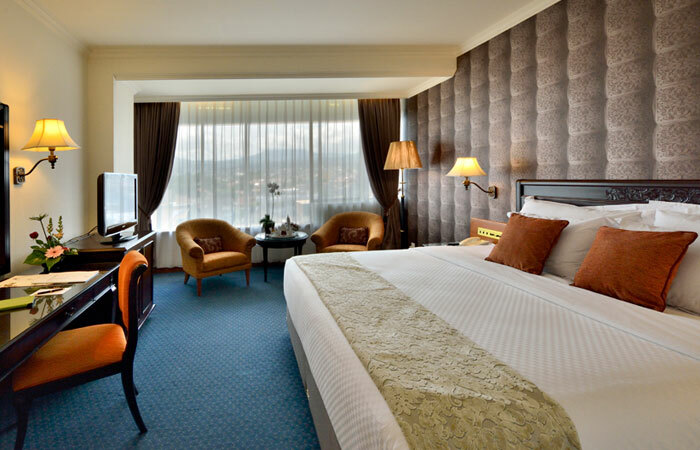 Overlook Bandung's skyline in this spacious room and be surrounded by elegant furnishings, state-of-the-art amenities and original Asian artwork with soothing earth tones that are carefully selected for quality and comfort. If you expect to arrive early in the day and would like immediate access to your room, we recommend booking the room for the prior night to guarantee immediate access. Similarly, for late departures, reserving an additional night will guarantee access to your guest room until you depart. Any requests when booking your reservation will be honored based upon availability at check in for the length of your stay and charged according to hotel policy. 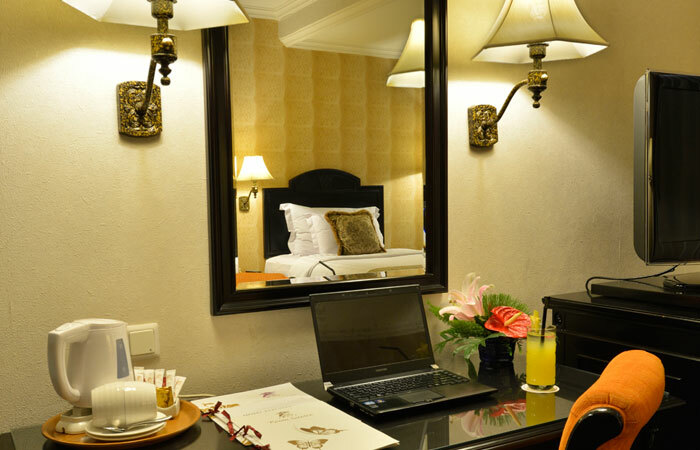 At Grand Aquila, a guaranteed reservation assures you of a room even if you check in late (after 6:00 pm). All reservations made through the web site must be guaranteed by a major credit card. The hotel may enforce special events policy over certain periods, such as some holidays, sporting events, festivals, or other citywide events. Event policies can include pre-payment/non-cancelable requirements for room reservations. Rates quoted at the time a reservation is made are for 2 (two) occupants per room. 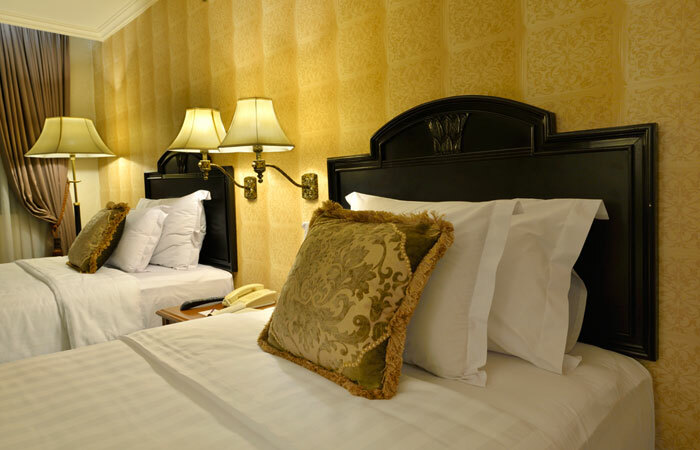 Additional guests, up to a maximum of 4 (four) per room, will incur an additional charge per person. Rollaway beds are limited and available on first-come, first-served. Please check for full deposit requirements at time of booking. 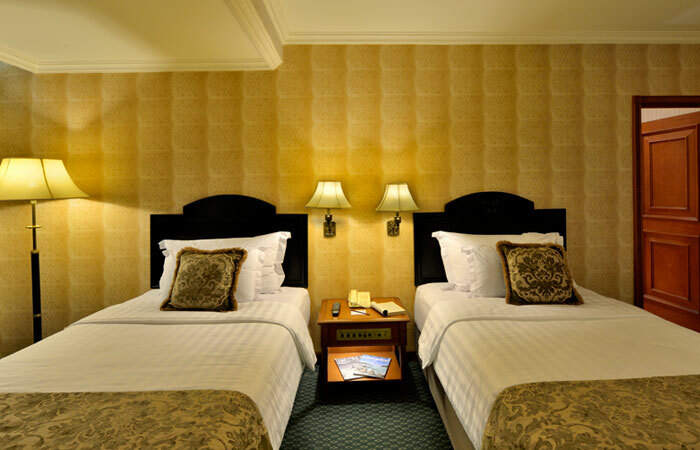 Cancellations for a guest room reservation must be received at least 48 hours prior to the expected day of arrival. Suite reservations must be received 7 days prior to the expected day of arrival. Policies may differ over special periods and may change according to arrival date and room type. If cancellation of a guaranteed reservation is not received by the required date, the Hotel will charge for one night's accommodation. For details of cancellation policies and deposit requirements, please check at time of booking. An extra person charge will apply if there are more than 2 (two) adults (aged 7 or over) in a guest room. Rollaway beds are available by request in select rooms and all suites, one per room, for a fee according to hotel policy and subject to availability. For reservations and information, please contact the Hotel directly. We strictly enforce a no-smoking policy throughout all designated hotel guest rooms and public spaces. 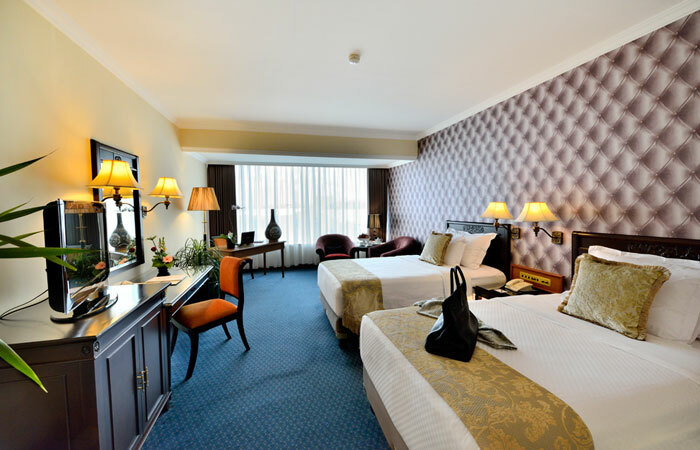 Guests may request for smoking rooms at the time of check-in, subject to availability. A deep cleaning fee will apply to any guest for smoking in rooms or on patios/balconies that are designated non-smoking. Please contact the hotel for more information. 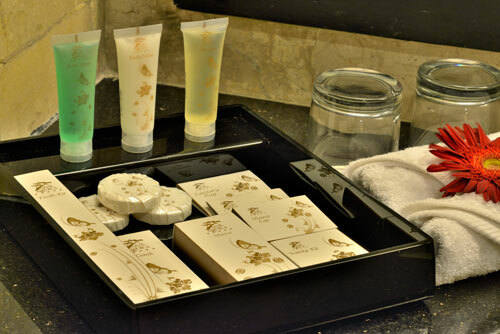 Every guest is requested to behave in orderly manner to maintain the dignity of the Hotel and to ensure that all hotel guests have a safe and comfortable stay. The Hotel reserves the right to warn and/or give penalty and even exclude or eject any persons from the rooms or the premises without any liability. Upon the first complaint, we will issue a warning to the registered guest. If there is a second complaint, we will give a verbal warning to the registered guest. In the event of a third complaint, the registered guest will be evicted from the hotel with no refund and the hotel will not be held responsible for any resulting fees or charges. Pets are not allowed. A non-refundable deep cleaning fee will be charge if a pet is found.